Featuring nine unique timber tree-houses with spectacular views over rainforest and mountain scenery, Rose Gums is an incredible place from which to explore pristine rainforest streams and kilometres of walking tracks. 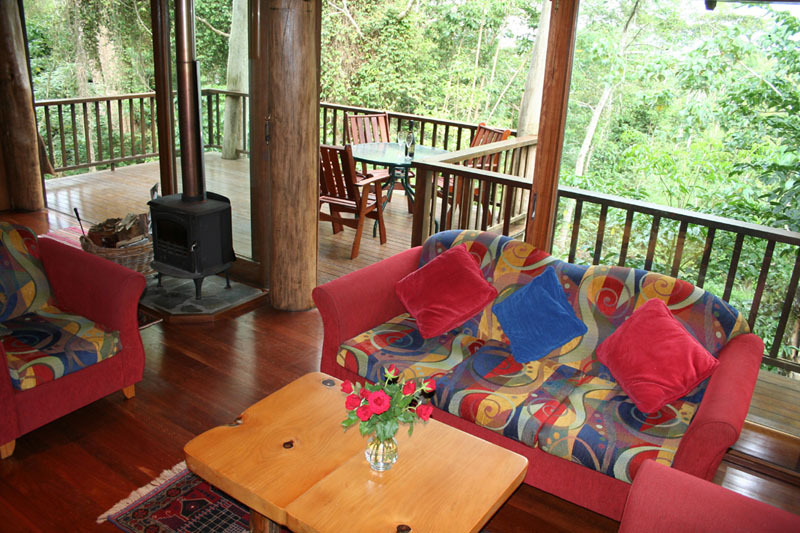 Situated on the Atherton Tablelands adjoining World Heritage Wooroonooran National Park, the retreat is just an 80 minute drive from Cairns, but you wouldn’t know it from your surroundings. Exploration is the name of the game here, where hiking trails weave through lush emerald forests and guided tours help introduce you to this incredible wilderness, which includes over 160 recorded bird species. An accredited ecotourism property, the owners take great pride in planting trees on and around the property and you can join them, helping to off-set carbon emissions and conserve this special corner of Australia. 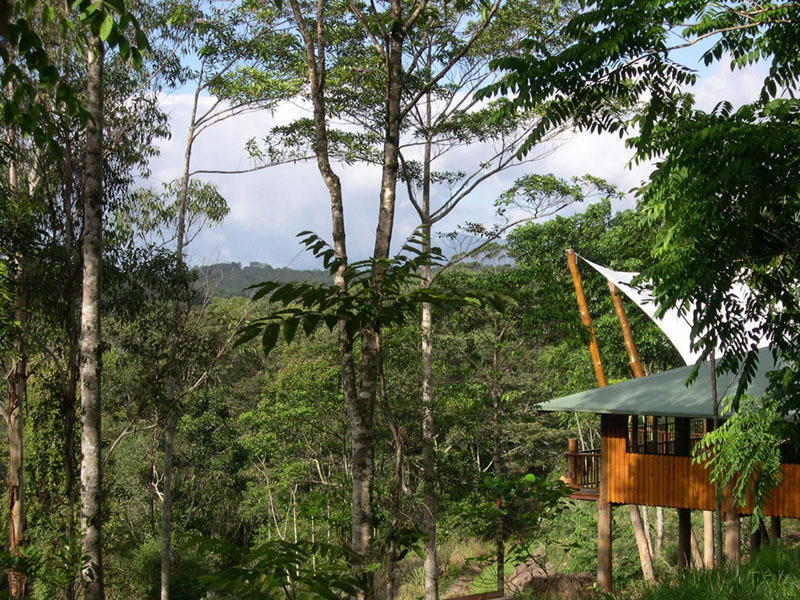 Each of the 9 treehouses has full kitchen and laundry facilities, spacious living and dining areas, spa bath, wood fireplace and large verandas. If you decide not to cook, the retreat’s LEAF restaurant features a tantalizing selection.